Sport at the grassroots level is an incubator for social equality in Australia. To all those who have cast aspersions on Steven Smith’s integrity, please attempt to gain a little perspective. Ever since the Ancient Greeks tussled and battled for the acquisition of olive leave wreaths and crowns in their holy city of Olympia, societies have longed to discover who is the best of the best. How to discover the world’s best in Tests? Ever since the armour clad Ancient Greeks tussled and battled for the acquisition of olive leave wreaths and crowns in their holy city of Olympia, societies have longed to discover who is the best of the best. The opening two Test matches of this Ashes series have revealed to cricket followers worldwide a number of telling realities that were perhaps unapparent prior to the series commencing. 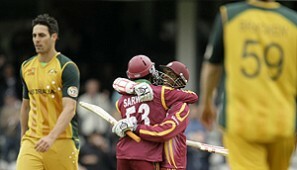 Can the West Indies or NZ move up the order? The upcoming Test series between New Zealand and the West Indies, taking place on the colder part of the Tasman Sea, will be unlikely to steal cricket’s headlines. 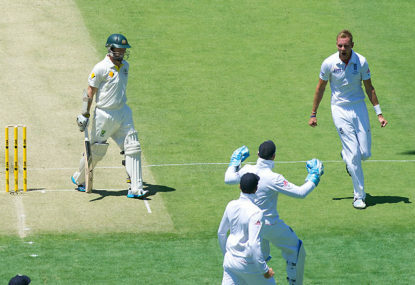 Have England adopted the Australian way? Have the tables really turned this far? 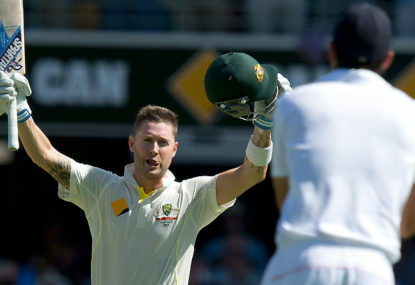 Was victory for the Australians in the first Test as significant as some make it out to be? As one of the game’s legends stole the limelight for his record-breaking 200th (and final) Test appearance, one of his adversaries in that game quietly achieved a magnificent milestone of his own. The return Ashes series for 2013/14 promises to be one of the closest fought over the history of duels between the two old enemies. Hearing Glenn McGrath comment during Sunday’s Ryobi cup match between the Blues and the Bushrangers, “Twenty20 cricket has changed one day cricket,” prompted one to reflect. Will rugby league ever become a global sport? Countless erudite philosophers have for centuries attempted to predict the future on the basis of often rational theories and philosophies. When the time finally came for Shane Warne to announce that he would no longer endure five days of cricket for his country, we as his fondest audience could confess that things wouldn’t be the same. As time goes by and special moments sail deeper into the realm of history, the more thorough our analyses of these events become. In the cut-throat modern sporting industry and progressive disposition of 21st century life, many vital contributors to their respective trades are quickly forgotten once they part from the limelight. 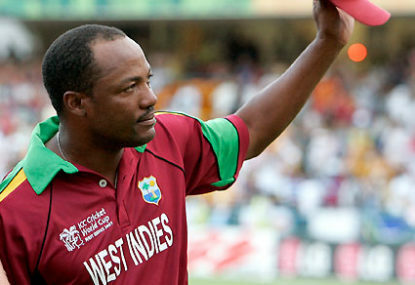 Although not as technically sound as Sachin Tendulkar nor as dominant against the short ball as Ricky Ponting, Brian Charles Lara was an outlier even to this league of extraordinary gentlemen. The three batsmen who are almost unanimously considered to be the best of their generation at this present point in time are regarded as superior for elements in their performance that cannot be reflected in runs alone. Anyone with an interest in cricket will have their own opinions regarding the greatest batsman of 90s/00s era. Lovely summation of Pearce, how this bloke receives accolades let alone plays origin is beyond me.. Has the kicking game of a second rower and the creativity of a 12th grade maths teacher. 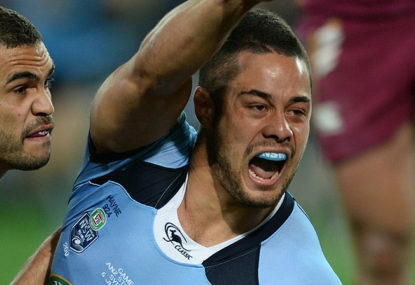 Kelly has mountains of ability and has been performing on a regular basis for the titans for over a year now. However, if Mullen stays fit and recaptures even a semblance of his form of last year he should get the nod… Reynolds needs to play at 6. Tough and uncompromisingly competitive with the complete skill set to penetrate the best defensive structures. Likewise, he genuinely makes the dragons look like a real threat once again. I, probably like yourself, considered him to be a decent footballer profiting from the classy “big 3” and consistent structures around him.. Agreed, Sironen is a reincarnation of Wade Graham. Should he stay with the tigers, they have the potential to create a seriously strong side in the coming years. The panthers have set the precedent with that decision to cut Roberts loose, which follows on from their decision to publicly embarrass Michael Jennings a few years ago when they forced him tio purchase every single spectator’s ticket in the stadium after a similar incident with alcohol.. The players are role models and have a responsibility to behave like adults and set an example to the children who admire them. Clubs with a win at all costs attitude like the roosters who continued to back Todd Carney after consecutive run ins with the law, are deplorable. Warriors are always topsy turvy and struggle to gel until its seemingly to late with almost unwavering invariability, however with their roster this year they could be a force to be reckoned with..
Dont know where the grave concerns spawn from as we have just toppled the worlds best in there own backyard and pulled the pants down and kicked the red coats back onto their boats in the space of a few months. Pakistan havent troubled an Australian side in decades due to internal disharmony, corruption and downright inconsistency. This team, whilst boasting the worlds best spinner in Asian conditions, consists of a captain who will be the wrong side of 40 by the time the series comes along, a collection of quicks who don’t exactly evoke memories of the Akram, Younis and Akhtar trio, and a host of top order batsmen who seemingly hold positions as secure as backpack in Barcelona. Lyon has been questioned before and will probably never play another match where he isn’t under unjustifiable scrutiny, and he would be ably supported by O’Keefe should the latter get a run. As for Maxwell, Boyce and co. i hope you were intoxicated when you pondered over their selections, they are daylight and then streets from being up to the standard of test cricket. Wasn’t exactly an innocuous off break sliding down leg side that you dream of welcoming you to the crease was it! Ye really important point you raised Ronan, and i am really curious to see what they do with regards to Watson’s impending return. It would appear that both would be on par in the selectors eyes at this stage in terms of their batting credentials but a talented short leg is an increasingly valuable commodity. Eels may surprise a few, i agree, Hayne’s omission is a big dampener but Chris Sandow could thrive in this format and hopefully for the eels sake this season, he is able to form a decent partnership with corey norman. Definitely the real test for the aussies. Should give the world a true indication of how far theyve come. Watson’s absence hurts the balance of the team, with Doolan and Marsh at 3 and 4 respectively, both very inexperienced at this level, giving the Proteas an opportunity to dominate the Aussie top order should rogers and warner fail. 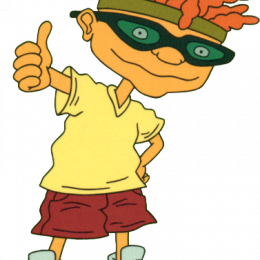 I agree- I think with tight structures around him and a clear gameplan he will do well… He is not and never will be the go to man for playmaking, which is what ricky stuart used him as… I think this decision may just surprise a few and mr Prentice may have to order that proverbial dunce’s hat..
Oh yes that is certainly an apt description of the Prince of Calcutta’s contribution to the Indian national team! Who are your all-time favourite cricketers? Your basing that narrow minded attempt at undermining Lyon on one match, as this article reveals, Lyons career statistics are far superior. 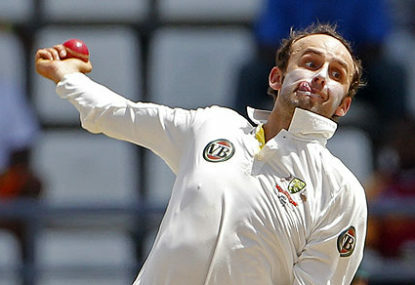 Nice read Tim- really happy with the Laxman inclusion. That guy was to elegance as Border was to steely determination. A absolute gem to watch with seemingly all the time in the world to play even the fastest of bowlers. I prefer North, more experience, in just as good a form as Hughes and has a pretty decent test record with a far less susceptible technique at the highest level… plus he provides a useful second spinning option. 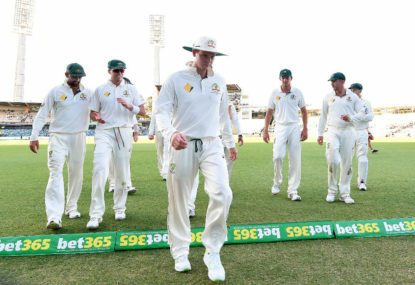 Have the selectors turned their back on Phil Hughes? 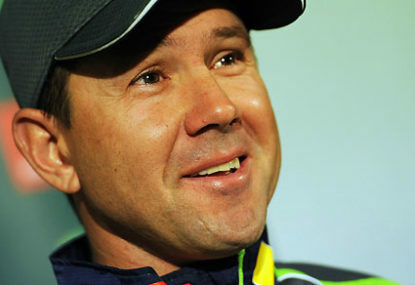 Definitely worth contemplating…the Brad Hodge mystery still perplexes me. He has been close to the best batsman in Australia for 10 years in all forms..and whats more his approach to 2020 cricket is refreshing to the eye of a purist as he merely plays proper cricket shots with less caution. LD- i take it you are a passionate protea but i think you will find that the indians dominated 4 of the 5 days of the 1st test and were it not for a mammoth partnership that should’ve been broken on a number of occasions the indians would have run away with an unassailable 1-0 lead heading into durban. Also i wasn’t factoring in one day results. I think youll find that India were in the drivers seat for the first 4 days of the first test- if it were not for a huge partnership that endured a fair amount of luck with drop catches and a dubious DRS decision the Indians would have comfortably got up and taken a 1-0 into the 2nd and final test…I would call that a closely fought series. As a spinner, one generally doesnt peak until he has matured between the ears. They dont require brute strength our sharp reflexes like fast bowlers and batsmen respectively. I think Hauritz has a lot to offer the Australian one day team but would also rather Lyon over Doherty. Surely with players like Hussey and Nanes and the unpredictable nature of 2020 cricket they can muster up a victory at some stage in the not too distant future? Sorry guys didnt realise, but the ICC already have a test championship scheduled for 2017.. It will be played in England and will feature only the top 4 ranked sides at the time. It mustn’t have been publicised at the time because it certainly occurred behind my back. Yeh i agree i think Marcus North would be the best option. The average age of teams has steadily risen over the past decade or so, with experience proving to be far more valuable than fearless youthfulness in many cases. 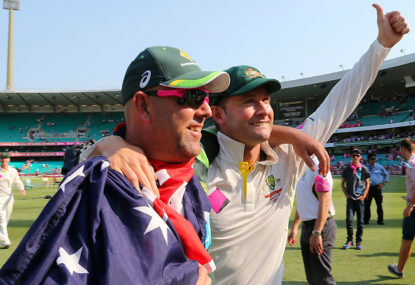 North performed relatively well for the Aussies when he was given the chance and was perhaps a bit of a scapegoat when finally succumbing to the selectors axe. If Watson would move down to 6 his returns would become more consistent and this side could be strengthened even further. Who should replace George Bailey? This is clearly a medium which allows you to overtly voice your favorite and least favorite cricketers in the Ashes series. It is evident you dont think highly of the somewhat gaudy, pompous players in Pietersen and Watson, but when analysing a series and each individual player’s contributions please at least try to mask the your subjective predilections in order to achieve exactly what it is you claimed to do- provide an analysis. +1 Andersens record shouldnt count for one day cricket, it was essentially a 2020, allowing one to proceed with impunity, throwing caution into the wind. Narine is no Murali and more importantly West Indies cricket is by and large in a state of disarray at present. Consider the same level of morale and professionalism that was inherent in the sri lankan side that had just won the world cup in 96. Chalk and Cheese my friend.